Kezia Arterberry is a published Author, Inspirational Spoken Word Poet and Behavioral Health Technician. Kezia, a Phoenix native, graduated from Grand Canyon University in 2015 with her BS in Psychology. 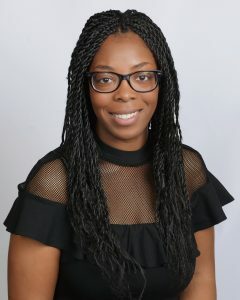 Post graduation, she has worked in the Behavior Health field with adults who have been diagnosed with Serious Mental Illness, as well as at-risk girls in a therapeutic group home setting. Kezia's goal is to motivate, encourage and inspire people to embrace who they are without shame, pursue their dreams and to live their lives operating in their God given purpose. She desires to see people happy, successful and thriving! You know, I'd definitely describe myself as a go with the flow writer. I tend write upon impulse. As soon as I am struck with inspiration, I have to pull out a notebook or even the notepad on my cellphone and just start writing away. The only time I've ever really outlined before writing was when I was in grade school. Other than that, I've always just gone with the flow. And, once I've finished, then I go back and go through a rigorous editing process, which includes having someone else look over my writing as well. Because I love going with the flow and being spontaneous with my writing, I guess its not surprise that I typically don't adhere to a specific writing schedule. However, that is something that I did commit to doing as I wrote my most recent book, Empower You! I set a goal of writing at least 2 to 3 pages of my book a day. And, surprisingly that worked well for me. But, I think it was largely because I was so passionate about the topic I was writing about, that once I got going it was easy to just.. flow!